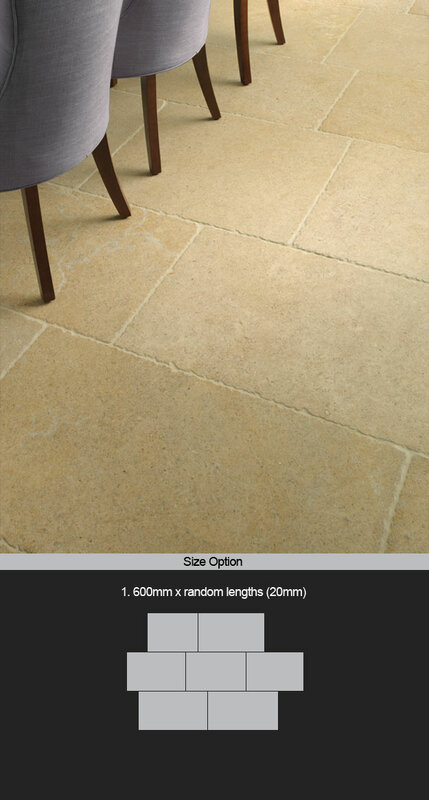 This distressed French limestone flooring is supplied in a traditional random flagstone pattern, which compliments so well classical character styling. This stone floor has been carefully distressed, with softened tile edges and footworn stone tile surface. With creams to light tan colouring's that easily blend and compliment each other. These stone tiles are very hard wearing and can be used in domestic, commercial situations. * Cream to light tan stone colouring. * Authentic Antique stone look. * Very hard wearing floor. * Domestic, commercial & exterior.